All opinions and views are Rab’s own and not those of his employers. My current job role is Service & Quality Improvement Practitioner based in the Scottish National Blood Transfusion Service (SNBTS) Donor Centre at Ninewells Hospital in Dundee. Service and Quality Improvement is about what we do and how can we do it better. I also see myself as a role model and am often the “go to person” for lots of people. I am involved in day to day business and a range of projects and but my focus is always about looking at what we do and how we can deliver it in the most efficient and effective way; ensuring we deliver on quality and safety for donors and staff alike. My role also involves supporting staff, facilitating a consistent approach to the service we deliver and that we all have a responsibility for the quality and safety of what we do. What made you decide to go into healthcare and how did you get to this stage in your career? I had been a member of the Police force but decided that it wasn’t for me. I wanted a job with skill and training that could take you anywhere. I was also looking for something meaningful and rewarding and I knew that nursing was something that I could do long term. When I applied, I was pushed towards Mental Health (MH) Nursing as that was the male stereotype at the time however, that wasn’t where my interests lay. Due to this push towards MH nursing I decided to do something completely different and moved to retail as a trainee manager. I stayed in retail for 8 years but those original reasons for moving onto nursing found me successfully entering General Nursing training in November 1991. In January 1995 I became a Registered General Nurse. I’ve worked in several different areas – Ophthalmology, Medical and Renal Nursing, including Dialysis and I have supported teams within Midwifery and Paediatrics. I helped facilitate changes in the culture and practises and took part in some much larger projects, which led to my current role. It’s a really fulfilling job and I have never regretted changing my career and coming into Nursing as a mature student. I would arrive for my shift and there would be a handover from the staff leaving. We would be allocated our patients and we would identify and prioritise the care that needed to be provided. Some would see part of our role as ‘tasks’, washing etc. However, I always felt that it was all care. 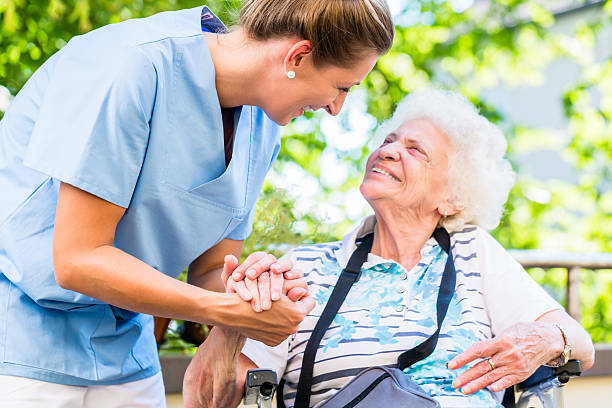 You may be assisting someone to wash, often seen as a task, but you are providing care – you are communicating with them, listening to their speech patterns, understanding their cognitive skills, mood and skin condition. You are also looking for improvements or declines in their health and wellbeing – are they now able to wash themselves for example. One of the most important things a nurse will do is plan their day. They will be assisting patients with eating, washing and doing medication rounds. 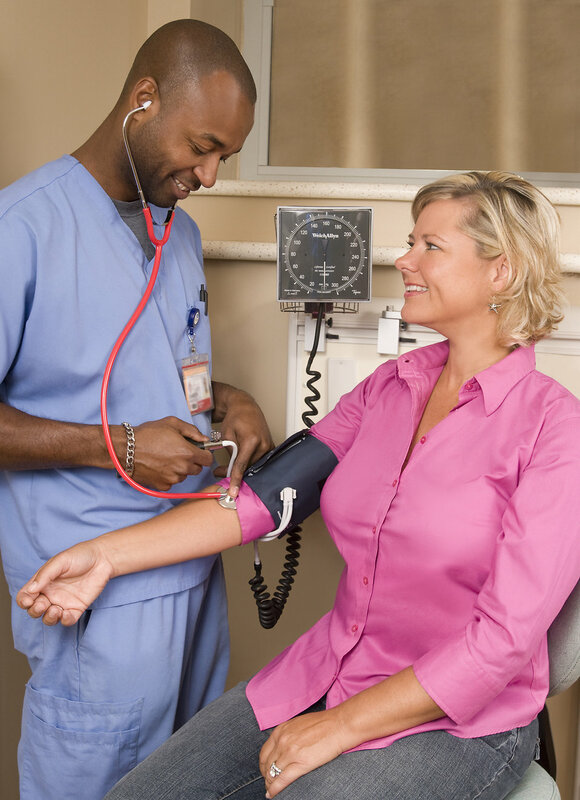 These responsibilities also have a level of decision making too – if the patient has too low a blood pressure, some medications may not be suitable for them and this would need rectified for example. Someone may become unwell suddenly, new patients arrive, transport needs organised for patients leaving and patients may be discharged during the shift too. I find that the only constant in healthcare is change! You are constantly revisiting your priorities throughout your shift. Another important part of the role is to keep an eye on your colleagues too – sometimes they need help or pointing in a new direction if the priorities have changed or I may be the one needing that extra support. You may be mentoring student nurses and supporting anxious parents and patients at the same time! All day (or night) nurses provide direct, person-centred care. What do you enjoy about Nursing? Patient contact – you meet some real characters and have great interactions with them. It’s that aspect of the job that I miss most now I am in a mostly office based role. It is that interaction with the patients that makes the job what it is. As a nurse you have to make decisions all the time which you need to be able to justify. My interactions with the patients support any decision making process. As a career it is never boring! How can we encourage more people, especially men, to move into this sector? More education – we need to get rid of stereotypes around nursing. There is still the gender imbalance and the view of nurses from “Carry On” films in the past. There is also the idea that all nurses do is ‘wipe bums’ and deliver personal care – although a core and important part of what we do the role is so much more than that! There are now massive opportunities in nursing with new, exciting roles such as nurse practitioner etc. Nursing has moved forward since the 50’s and 60’s when nurses where seen as the hand maidens to the Doctors. Our role has grown, planning and delivering care, prescribing and undertaking comprehensive and sophisticated physical and/or mental health assessments of patients with complex needs. A nursing qualification can lead to a variety of jobs in a variety of sectors – there’s a whole gambit of jobs people can do. As Nursing training in Scotland is held in such high regards, it could also lead to a job abroad. We need to encourage pupils and adults; I was a ‘mature’ student, to think about a career in nursing. Patient contact really is so rewarding. This is a relatively new position for me – I’ve been in post for just over two years. It was a bit of a culture shock and a steep learning curve for me, but it’s all okay now. I’m working on a few projects, but at the core of them all, there is always the question “how is it going to improve the quality of the service and the patient experience?”. Although I miss the direct contact with patients, I like knowing that my work will have a direct impact on their care.